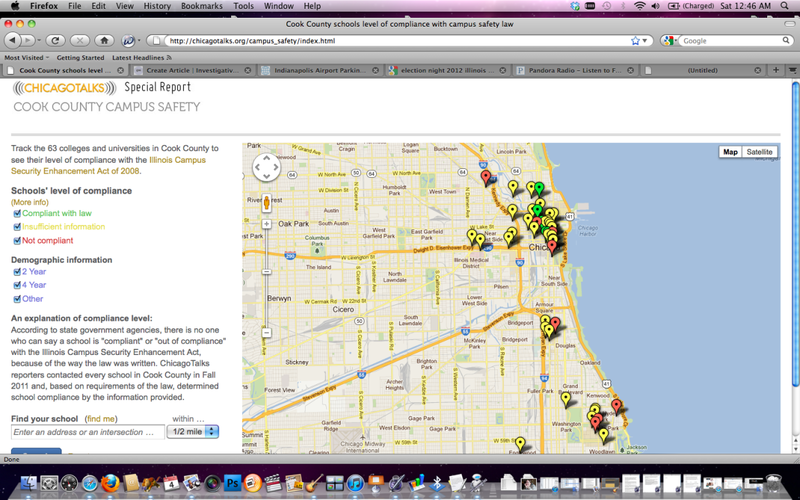 Just a handful of the 63 higher education institutions in Cook County appear to be following a law that requires all Illinois colleges and universities to adopt safety policies and procedures meant to keep students safe. The Illinois Campus Security Enhancement Act, approved unanimously by the Illinois General Assembly just weeks after the Northern Illinois University shootings, requires nearly 200 colleges and universities across the state to develop violence prevention and all-hazards emergency response plans, as well as campus violence prevention committees and threat assessment teams. The plans must be prepared in partnership with the school’s county or major municipal emergency response agency – in Cook County, that’s the Chicago Office of Emergency Management and Communications – and training must be held at least once a year. But it may not matter that schools are breaking the law since state officials say they don’t have the power to enforce it. Almost three years after the law took effect, just one full-time employee is charged with helping 189 colleges and universities develop and implement the safety plans. And no one performed this job until November 2010 – nearly two years after the law took effect.